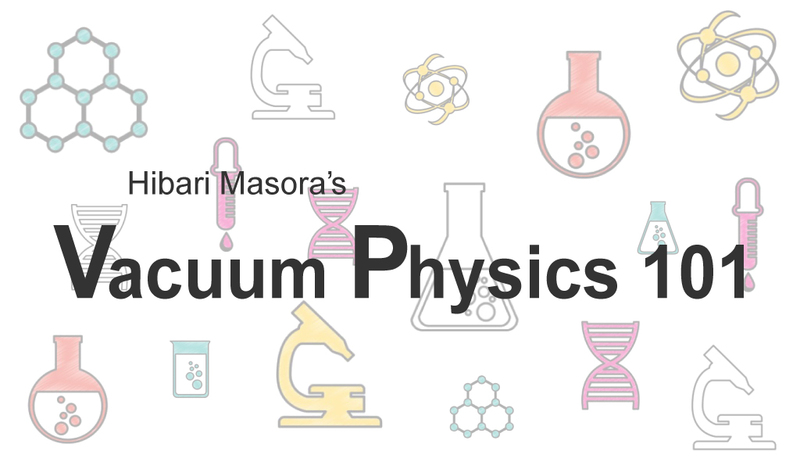 the 27-year-old instructor of Vacuum Physics 101. She was born and raised in Chigasaki, the birthplace of surfing in Japan – but she can’t surf. Another philosopher named Aristotle famously opposed this theory and proposed one his own, called horror vacui, which states that “nature abhors a vacuum.” Did you know about this famous story?Trying to comprehend “a space absolutely devoid of matter” may be just as difficult for us as it was for the ancient Greeks. But that sounds a bit confusing. Here’s an explanation that should help clear things up: Air pressure is lower in high places. For example, the air pressure at the top of Mount Everest is only one-third of the pressure at the earth’s surface. However, we wouldn’t call this a vacuum state. The top of Mt. Everest isn’t what JIS calls a “specific space.” Thus, it’s not accurate to say that a vacuum is just a low-pressure state. Vacuum technology combines both vacuums and technology, and in this field, scientists have decided to consider a vacuum to be a low-pressure state created by a vacuum pump. This is why a vacuum isn’t empty space. Got it? Based on the Industrial Standardization Law established and enacted in 1949, JIS specifies national standards as stipulated by relevant authorities such as the Minister of Economy, Trade and Industry and the Minister of Land, Infrastructure and Transport, following deliberation by the Japanese Industrial Standards Committee.